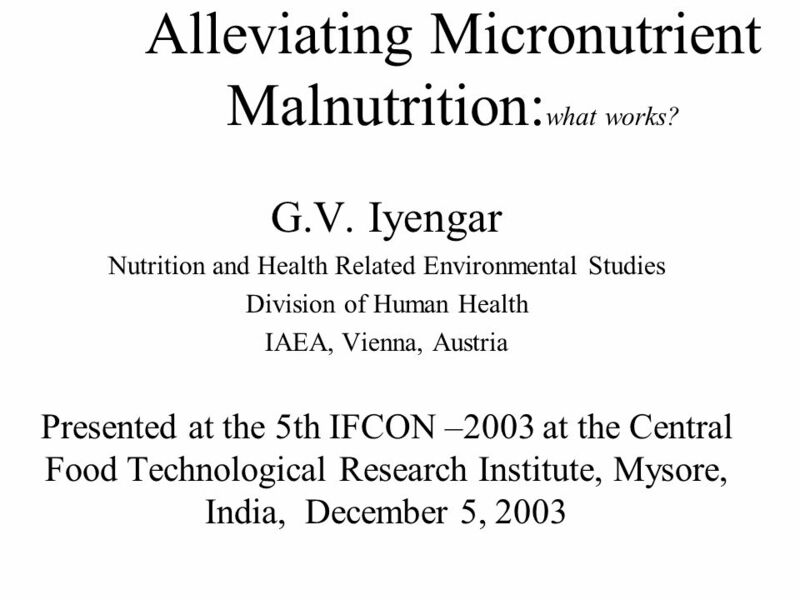 1 Alleviating Micronutrient Malnutrition:what works? 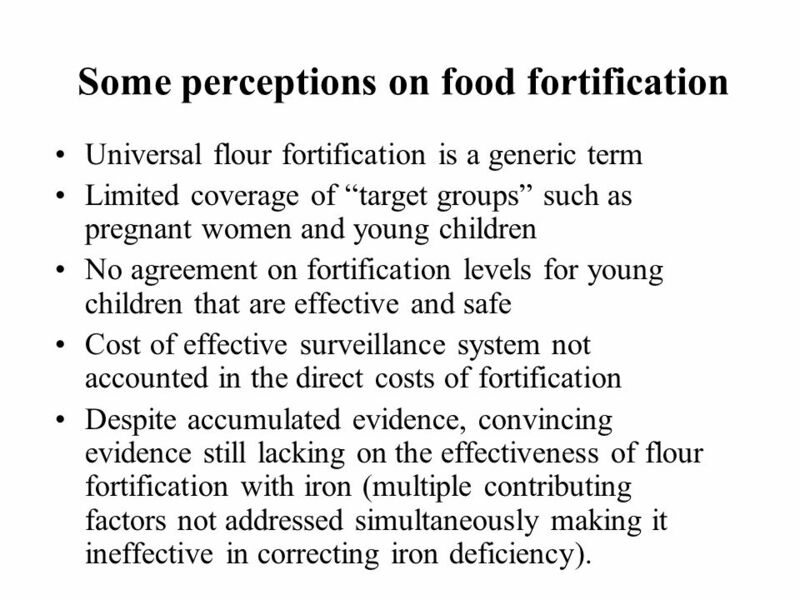 Universal flour fortification is a generic term Limited coverage of “target groups” such as pregnant women and young children No agreement on fortification levels for young children that are effective and safe Cost of effective surveillance system not accounted in the direct costs of fortification Despite accumulated evidence, convincing evidence still lacking on the effectiveness of flour fortification with iron (multiple contributing factors not addressed simultaneously making it ineffective in correcting iron deficiency). 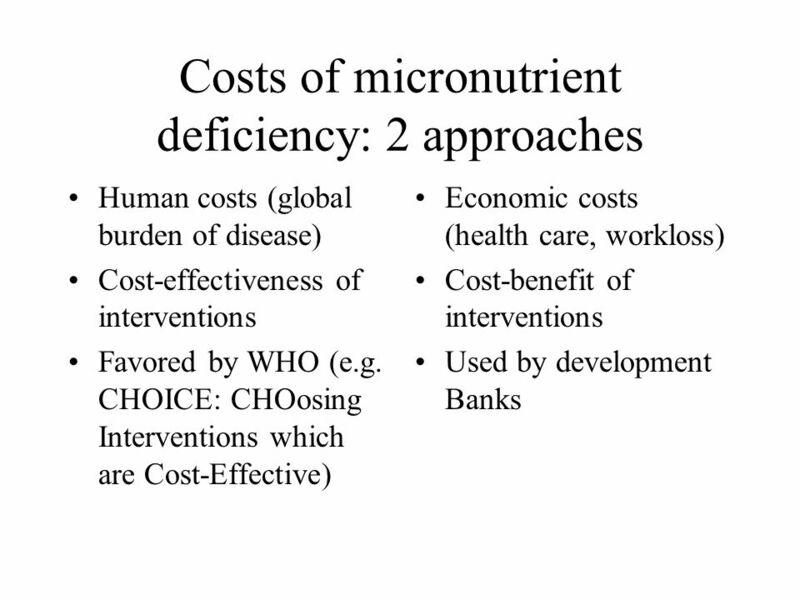 10 Alleviating Micronutrient Malnutrition:what works? 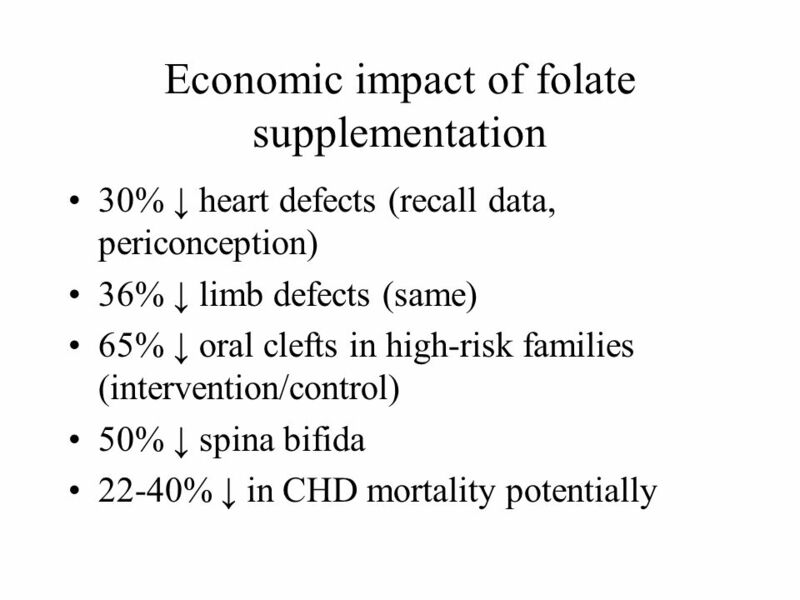 The most common method is based on incorporation of the isotope e.g Fe-57, Fe-58 into red blood cells following extrinsic labeling (mixing label directly with the food) and feeding to the test subjects. 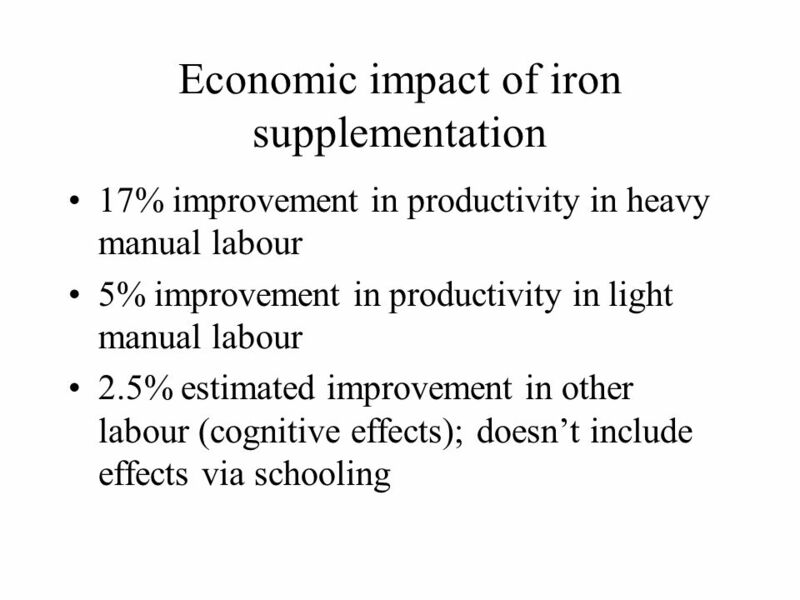 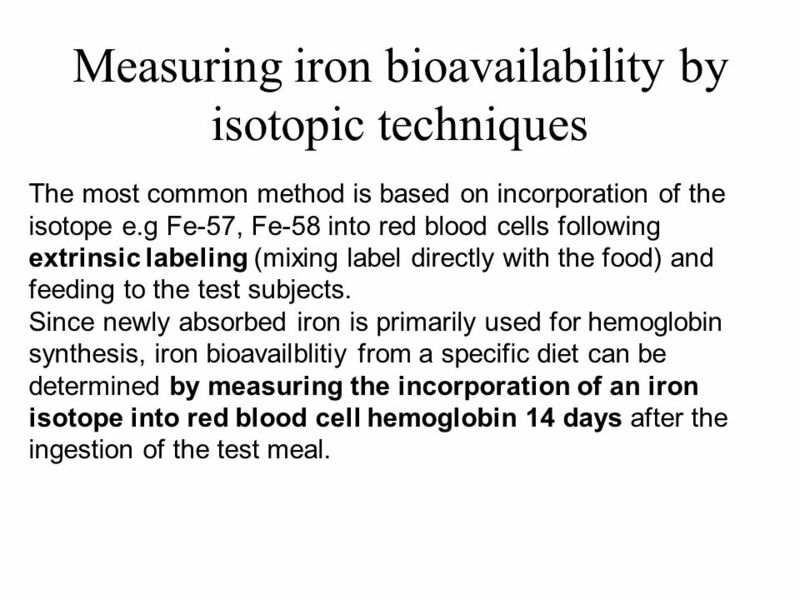 Since newly absorbed iron is primarily used for hemoglobin synthesis, iron bioavailblitiy from a specific diet can be determined by measuring the incorporation of an iron isotope into red blood cell hemoglobin 14 days after the ingestion of the test meal. 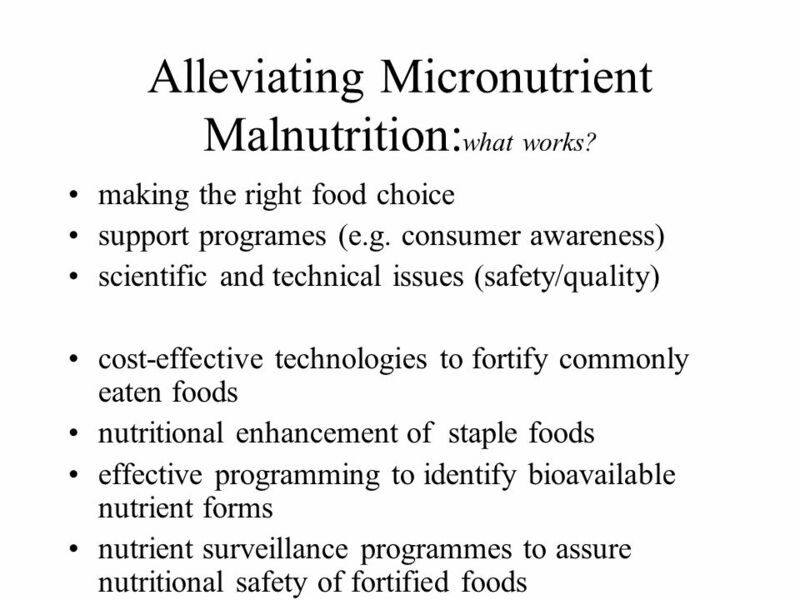 Download ppt "Alleviating Micronutrient Malnutrition:what works?" 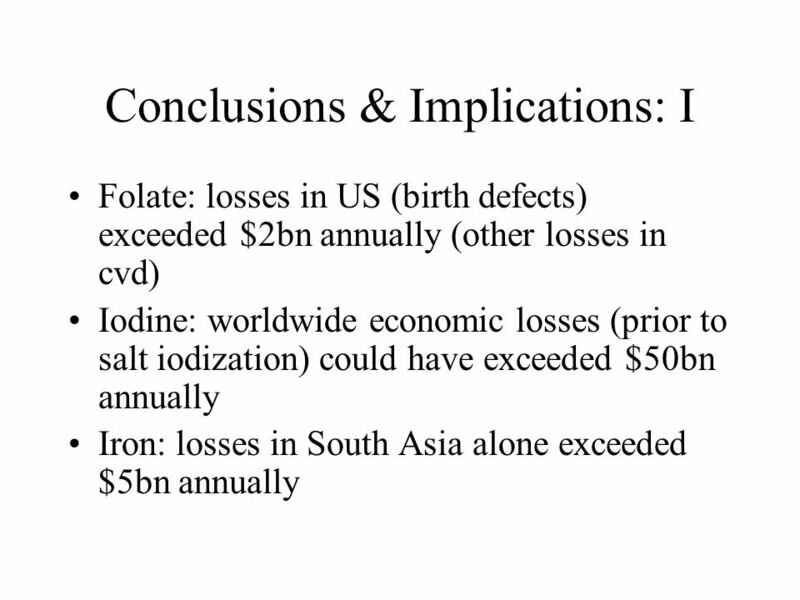 Household Questionnaire SALT IODIZATION. 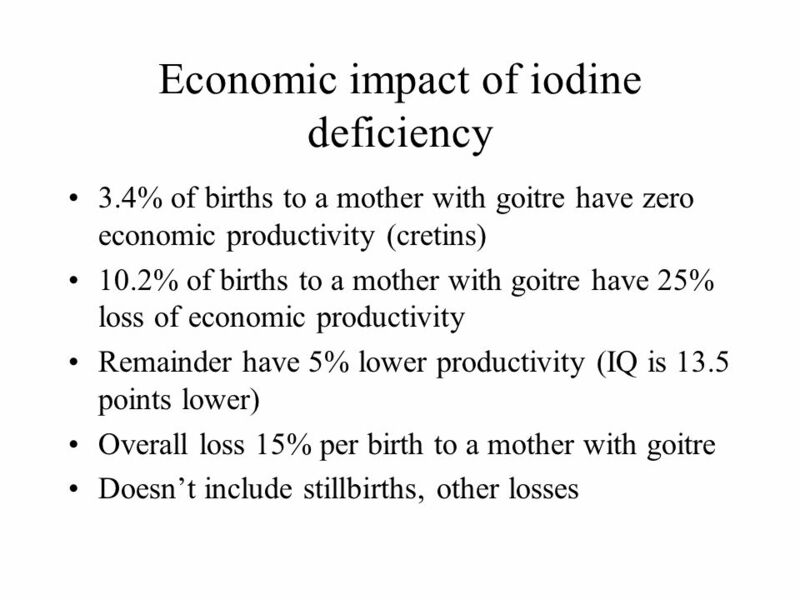 IDD is the world's leading cause of preventable mental retardation and impaired psychomotor development in young. 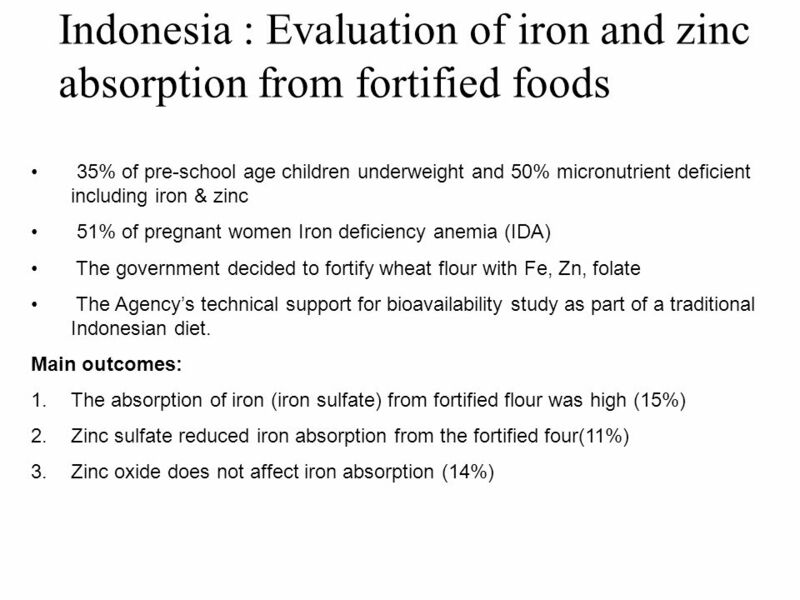 Public Private Alliances for Piloting Palm Oil Fortification with Vitamin A in Indonesia ADB-UNICEF Regional Workshop The Role of Non-State Providers in. 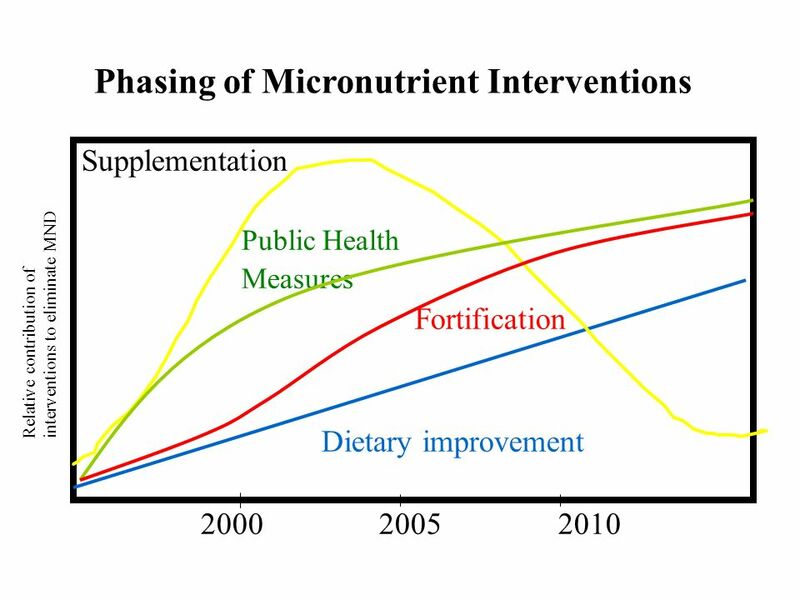 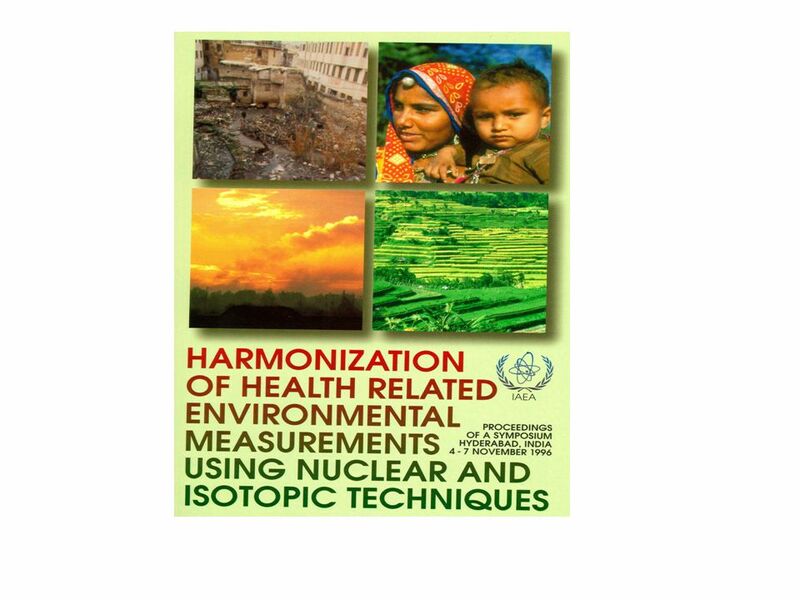 Micronutrient nutrition and food fortification activities in China Chen Chunming Chinese Center for Disease Control and Prevention International Life Science. 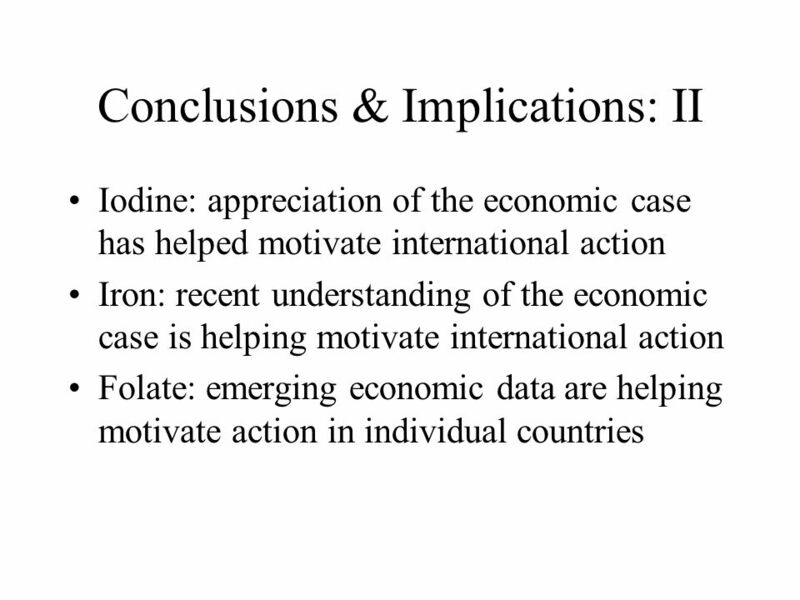 Sanitation externalities, disease and children’s anemia Diane Coffey Office of Population Research, Princeton University prepared for PAA session on Public. 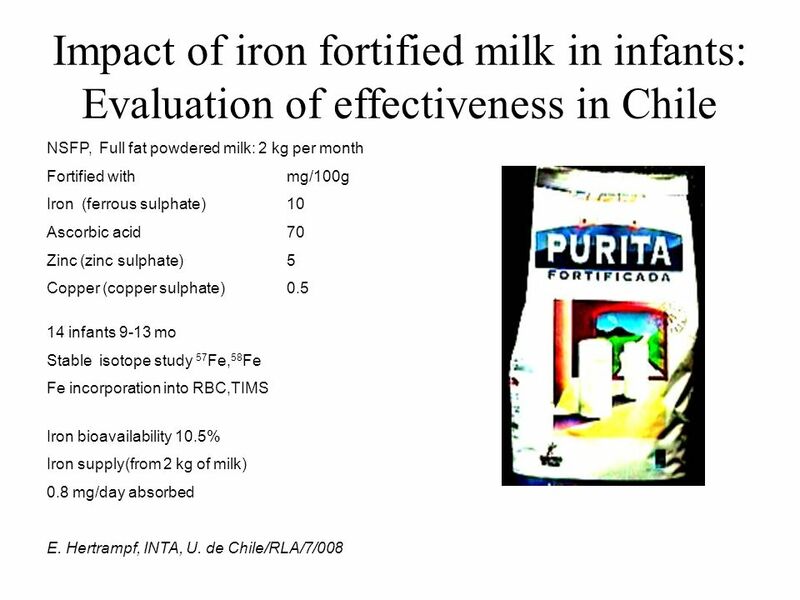 Session 9: Nutrition Care and Support for Pregnant and Lactating Women and Adolescents Living with HIV. 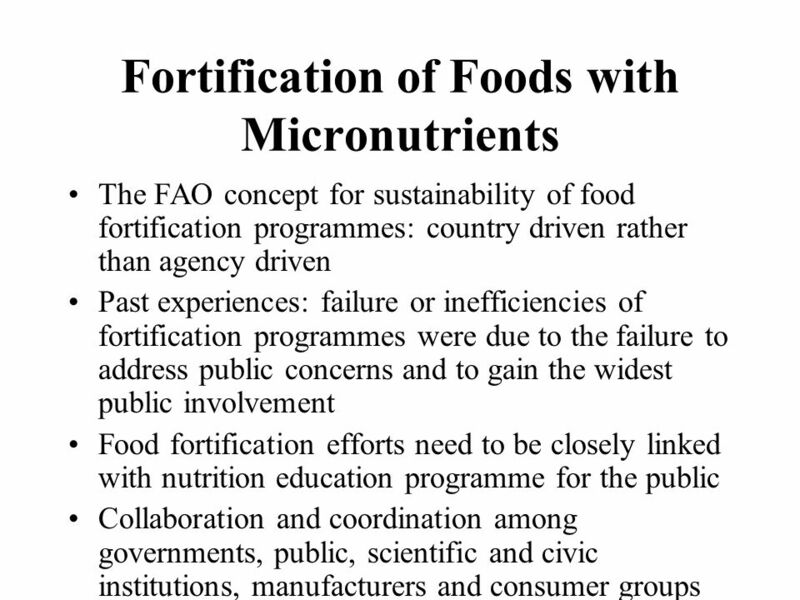 OD India-Priorities1 Three Priorities in Food Fortification Conference on Micronutrient Fortification of Foods: Science, Applications & Management. 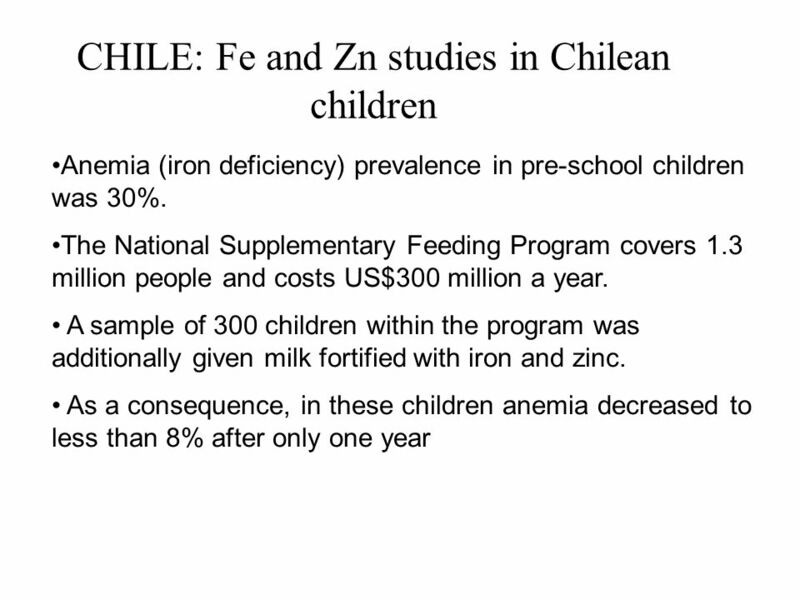 Global Perspective on Nutrition D Ziebarth, RN, BSN, MSN. 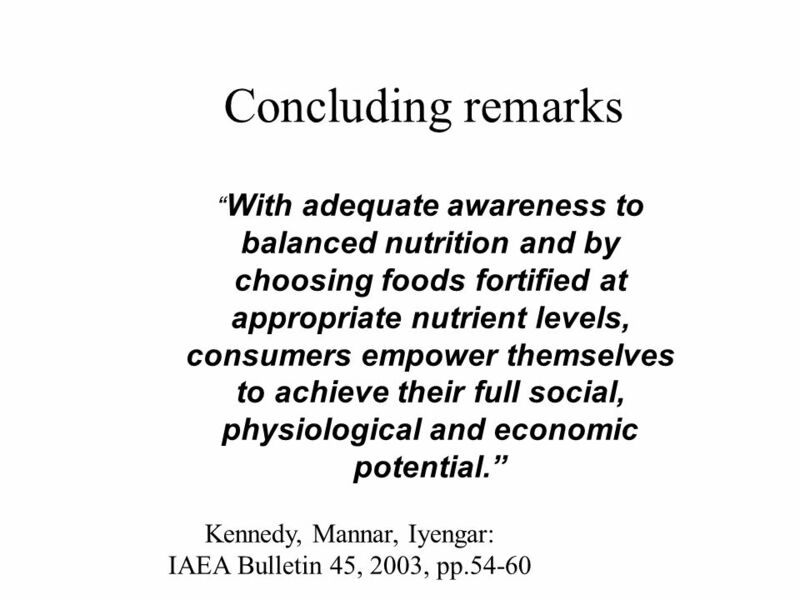 Country Challenges and Achievements for Food Security & Nutrition Prepared for Scaling Up Nutrition Meeting August 2011 Cambodia Delegation. 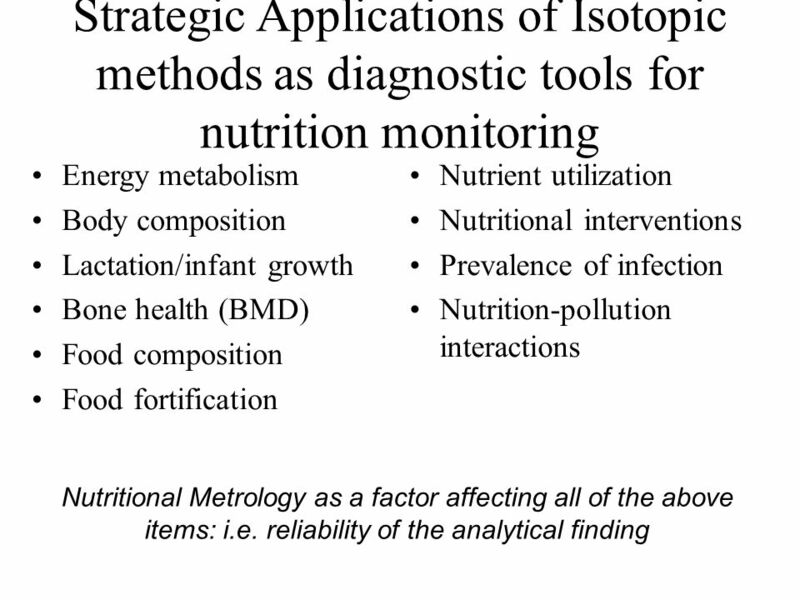 Maternal Nutrition Issues and Interventions The Linkages Project Academy for Educational Development. 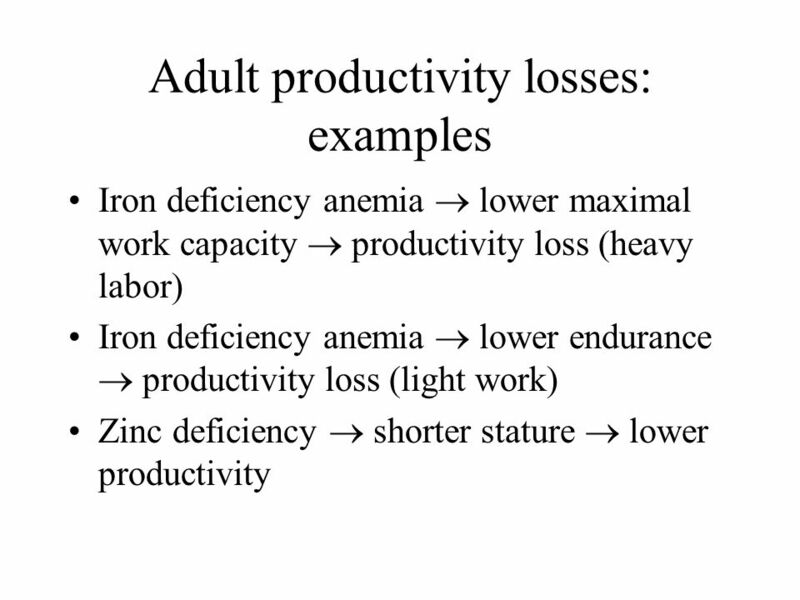 Prevention of stunting- a development challenge; food/nutrient based approaches, the way forward Dr. Khizar Ashraf United Nations, World Food Programme. 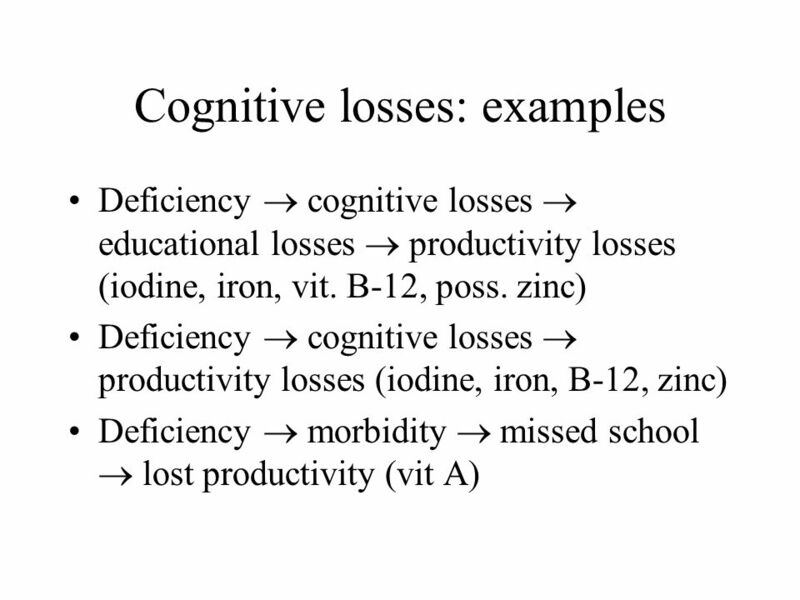 Akoto Osei K, PhD Helen Keller International Asia Pacific Regional Office Monitoring Outcomes of Programs for Vitamin A Deficiency.